If you scan the web you will find numerous articles about Russian strength training methods. Having read some of them I am left wondering what’s Russian about any of this stuff. For example, if Russian athletes were to train for hypertrophy development, they will do 5-8 sets of 8-15 reps.
Or if they were to train for maximum strength, they would do 5 sets of 1-5 reps. That is what we all do (those of us who know what we are doing that is). There is hardly anything Russian about that, all certified coaches and trainers will know this. It is current accepted theory and practice in Russia or the West. So, what is this thing called Russian strength training? Well, other than the coaches themselves, to my knowledge there are probably only two things that have come out of the old Soviet Union that has had a marked effect on how we in the west train today. One is of tremendous importance - every coach should work in this way and that’s the “periodization principle”. The other is “kettlebell training” which at best is just a new(ish) piece of training equipment and at worst probably just a fad that will become a standard piece of training equipment in the future. In this article I will only address the periodization methodology, kettlebell training will be addressed else where. When people talk about “Russian strength training” they are not talking about what the Russians do (they do the same as the rest of us), what they are actually talking about is how they do what they do! I will try to cut through some of that noise on the web and explain the methodology the Russian brought to strength training and how that knowledge can help you to improve your strength and power. 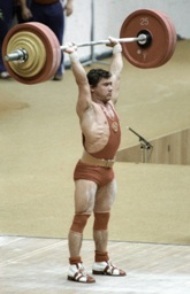 Since the 1980s the Russian and Bulgarian lifters have dominated power and Olympic lifting across the world. The Russians were able to dominate because of extensive research with “real” elite sports people carried out by coaches who were also sport scientist themselves. Going back as far as 1950s, Mateyev, one of the Soviet Union’s best know coaches and sport scientist carried out a survey of elite sports people. From this, he developed what was to become the “periodization theory of training” or to some, the Russian strength training method. In modern day athletics, the periodization model is utilized across all disciplines not just strength. In truth, the method was first developed around weight lifting and strength training. It was then extrapolated and sold as a methodology for training all the bio-motor abilities. There is no way that you are going to get a full explanation of the principles of periodization in this article. There are books about this method that run into hundreds of pages. What I hope to do is provide you with a very brief explanation of how it works. For a more in depth knowledge I recommend you buy Tudor Bompa’s excellent books on the subject. Your macro-cycle or yearly goal is divided into what is called meso-cycles – these are your medium term goal. Your medium term goal or meso-cycles are further divided into what are called micro-cycles – these are your short term goals. The example above shows a 16-20 week plan divided in smaller chunks of specialize training, each period contributing to the overall training aim. The 20 week period is the macro-cycle, each of the 4—8 week block is a meso-cycle and each week of each meso-cycle is a micro-cycle. I hope you can see the flow and the organization which has become known as the Russian strength training system. The most beneficial effect of Russian strength training or the utilization of the periodization method is the way in which you can manipulate each block of the training cycle. Until the periodization model appeared athlete would just training harder and harder from week to week until their bodies failed and they were forced to rest. After the enforced rest, they would go back to training and was surprised to find that their strength had improved. What the researchers found was rather than wait for rest to be enforced through fatigue. You should organize training so that a rest period was an integral part of the training cycle. So for example, an 8 week meso-cycle would have an progressively increasing training over the first 7 weeks, then on the 8th week you would deliberately plan a rest week into the program. This would allow the body to recover and in the recovery period it would become stronger and ready for a new but harder cycle of training. To accomplish this training cycles or blocks of training would be organized in a wavy but stepwise fashion. The fourth and eighth micro-cycle in this example signifies an unloading cycle or rest week, which in effect would allow the body to recover before an increased load is applied which would then continue the upward trend in volume or intensity of successive cycles. So that’s Russian strength training in a nutshell but, as I said, if you want to get more into it (and there is a lot more), go check out Tudor Bompa’s books. Russian strength training is the systemized way of organizing strength training programs and plans. It is a methodology that is known as periodization. Training is grouped into specific blocks of work (period of time) hence the term periodization. Those periods are further organized into smaller blocks of training with built in rest periods that allow the body to adapt to the stress of the previous work load and become stronger. From "Russian Strength Training Secrets" Back To "Faster, Stronger, Better – Your Shortcut To Improved Athletic Performance"